Your carers have been carefully chosen for their caring attitude and their desire to make a difference to the people they support. Your carer will have been police cleared, inducted and thoroughly trained to Hazelwood’s extremely high standards, only then will they be introduced to their clients. Training does not stop there, most of our staff are either registered on or have completed a QCF Level 2 Diploma in care, some have even progressed to Level 3. All our staff wear a uniform and carry an identity badge with a photograph. please ask to see these before you let them into your home. 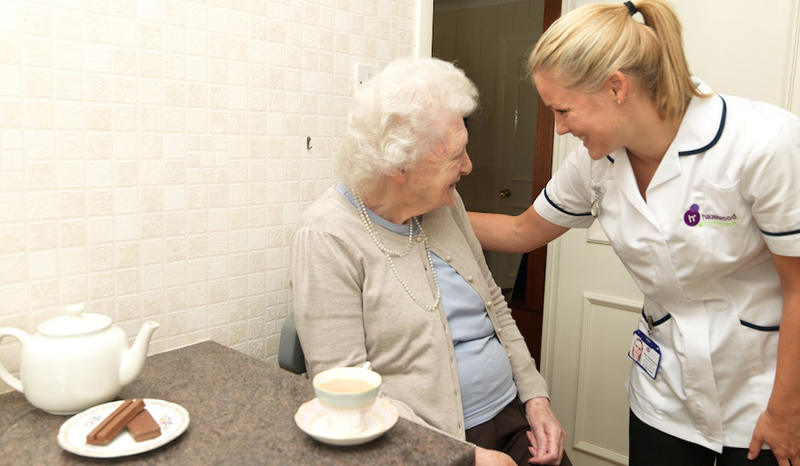 To ensure consistent and relevant care we employ local people from within the community. Your carers know and live in the same area as the people they support, they are passionate about their community and have good working knowledge of other services and amenities that can be accessed. We employ over 40 highly qualified carers. To give the widest choice available to our clients, we unlike other agencies, employ male carers to assist male clients if this is their wish. I sincerely believe that Hazelwood offers a superb service to the people in need in Lancashire and they are an asset to the Community and in particular my Dad, who is 96 ans to myself knowing that he is in great hands. I think of my carers as my friends, over the last 5 years they have become integral to my well being and standard of living, without Hazelwood it would be impossible to continue on as I have in the comfort of my own home. Thank you to everyone at Hazelwood! My life changed forever 10 years ago, I was unfortunate enough to suffer a brain hemorrhage which lead to permanent physical disabilities, Hazelwood not only cared for me physically but they supported me mentally to overcome such a devastating condition, thank you all so much from the depth of my heart. Hazelwood have looked after my mother for 3 months now and I can honestly say that all our lives have improved greatly, my mum has Dementia and can get extremely confused, although all of our family helped out, it was becoming obvious we couldn’t manage on our own anymore, so after doing some research online, talking to friends and neighbors, we were recommended Hazelwood. The process was quick but thorough, Joanne came out to see us from the office and we sat down and created a very personal support plan for my mum that the carers would use going forward. Nothing as been to much for them and now my family and I can go and enjoy time with my mum without feeling the pressures of having to constantly care for her. Easily one of the best decisions I’ve ever made!